People sometimes get in touch asking for advice about storyboarding and how to become a storyboard artist. There’s no set path to becoming a storyboard artist – some people come from an animation background, but just as many (like me) take a very wiggly route to get there. My introduction to storyboarding was on the Teletubbies – I started there as an Art Department assistant and ended up doing all the storyboards (Teletubbieland is still my favourite place to work EVER). 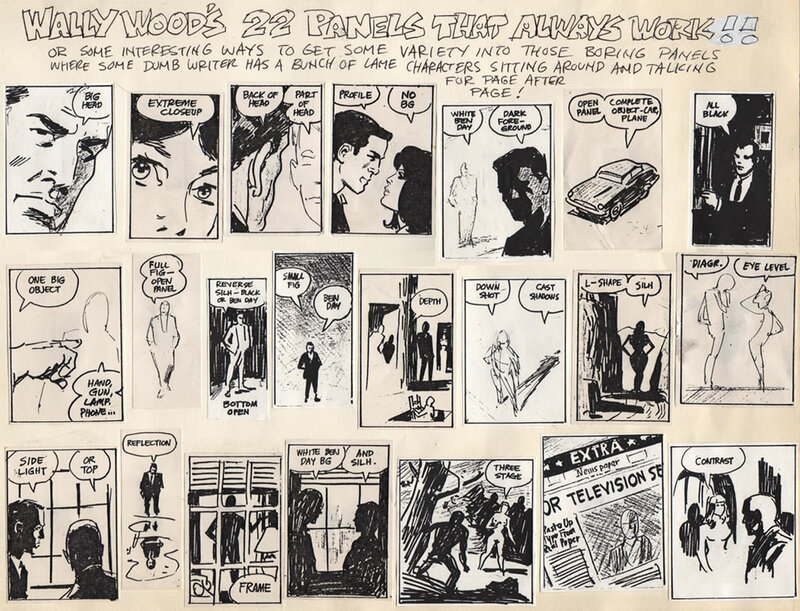 Storyboards: What it Takes – Great series of articles by Larry Latham, based upon a course he taught at Disney. Griz and Norm: Tuesday Tips – Storyboard & drawing tips from industry professionals. Great stuff. Karen J Lloyd’s storyboard blog – Tips, advice, interviews – it’s all here! Story Portfolio Questions & Guidelines – Ted Mathot, Pixar Story Supervisor. 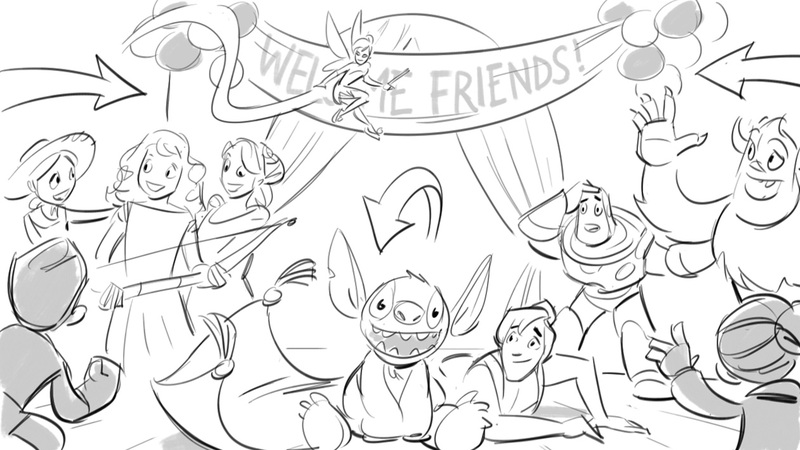 Dreamworks story & design notes – Some great storyboarding tips posted by the super talented Ben Caldwell. The Art of Storyboarding – Great article featuring examples from Bladerunner, The Thing, Alien, Dracula and more! Idea Generation – Interesting guide to idea generation for illustration by Jillian Tamaki – great NY based illustrator. Secrets of the Self Employed – (or How to be an Amazing [insert profession here]) by Keri Smith. Super Obvious Secrets That I Wish They’d Teach In Art School – Super obvious secrets from Phil McAndrew. DC Cartoon Archive – Collection of storyboards and model sheets from the animated Batman. Animation Meat – Animation and storyboarding notes from Disney, The Simpsons, Brad Bird and more. Animation Podcast – Interviews with some of animation’s greatest talent by Disney animator, Clay Kaytis. Character Design – Interviews and designs from leading animation artists & designers. Interview with Pixar Story Animator Jeff Pidgeon – Story Animator on A Bug’s Life, Toy Story and Monster’s Inc. The Pegbar & Grill – Tim McCourt and Sam Taylor to talk to some of their favourite filmmakers and animation creators. Splinecast – Podcast interviews with artists and directors working in feature animation (including Brad Bird). William Simpson – Great Youtube interview with Game of Thrones storyboard/concept artist William Simpson. J.Todd Anderson – Take a 6-minute storyboarding course with Coen Brothers’ storyboard artist J. Todd Anderson!